OPTIONAL: Do you want an inside engraving for 4.95 extra? : Make a choice... Yes, I opt for an inside engraving for the big ring (+€4,95) Yes, I opt for an inside engraving for the small ring (+€4,95) Yes, I choose an inner engraving for both rings (+€9,95) No thanks! Wear your loved one forever with this .925 sterling silver ring with the claddagh symbol + an additional ring provided with birth stones. 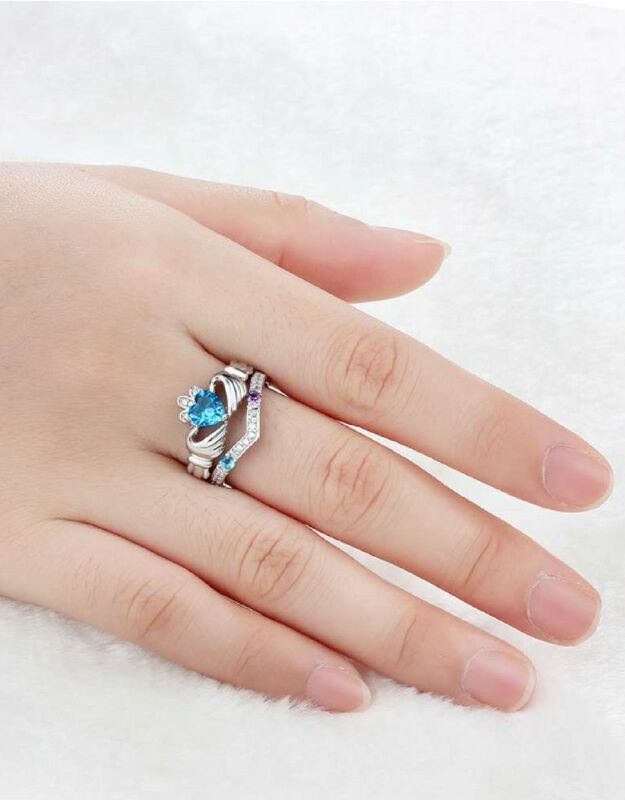 The special meaning behind the symbol 'in love and friendship we will rule' makes the rings a perfect gift for every woman. 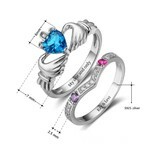 ♥ Choose the stone that matches the birth month or choose a color that you like. ♥ Place for an inside engraving of approximately 20 characters per ring. ♥ Handmade by a very experienced engraver (supplier of many jewelers). 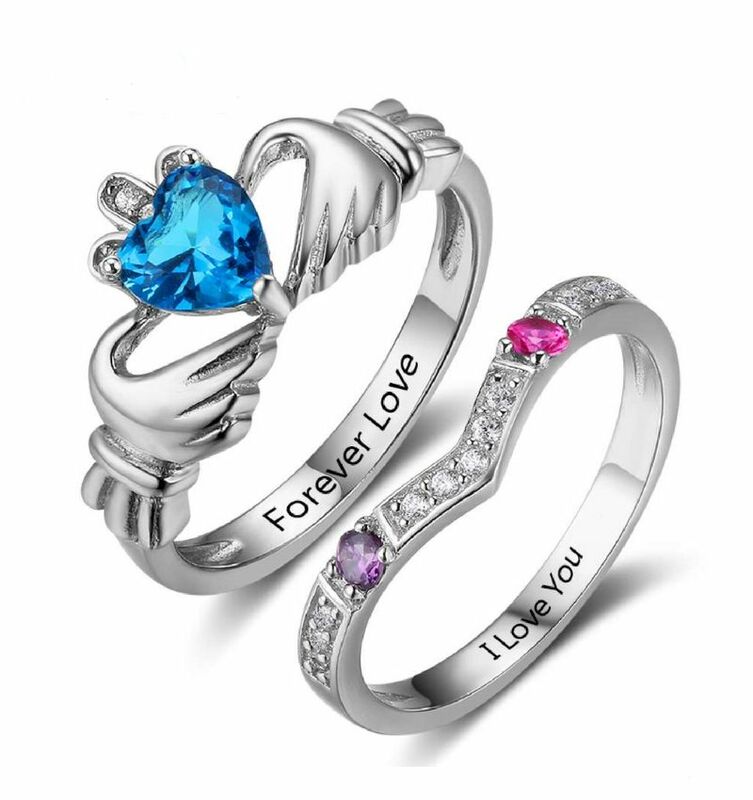 ♥ We use cubic zirconia stones that match the colors of birth months. ♥ Packed in a luxury jewelry box, ready to give a gift. ♥ To measure : measure a suitable fitting ring by measuring the diameter of the meter. If you're just in between two sizes or you doubt about 2 sizes, then we're advised to choose the bigger size . 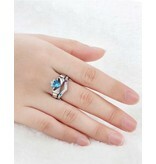 The ring we make special for you so can not be amazed in size. ♥ Uncertain about the size, order here our shims set at € 2.95. 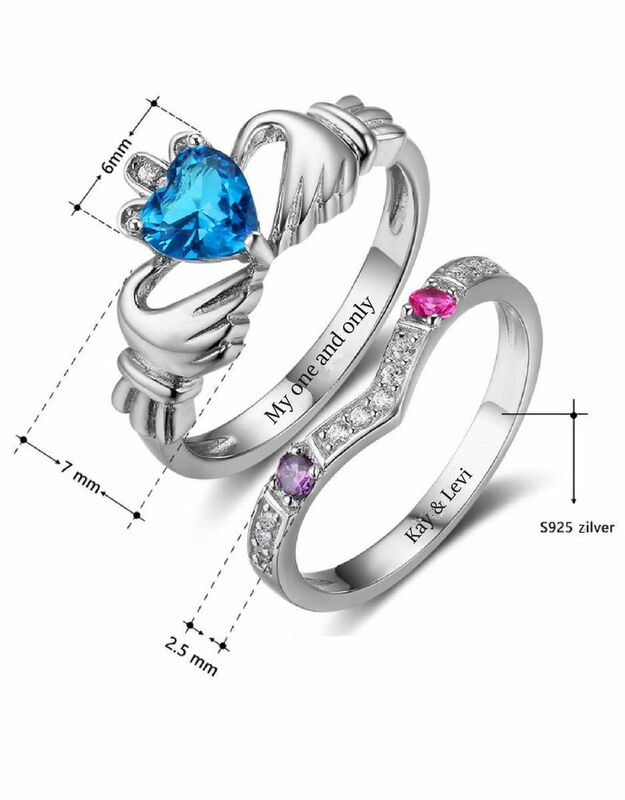 ♥ Donation per jewelry to Gambia so children can go to school.